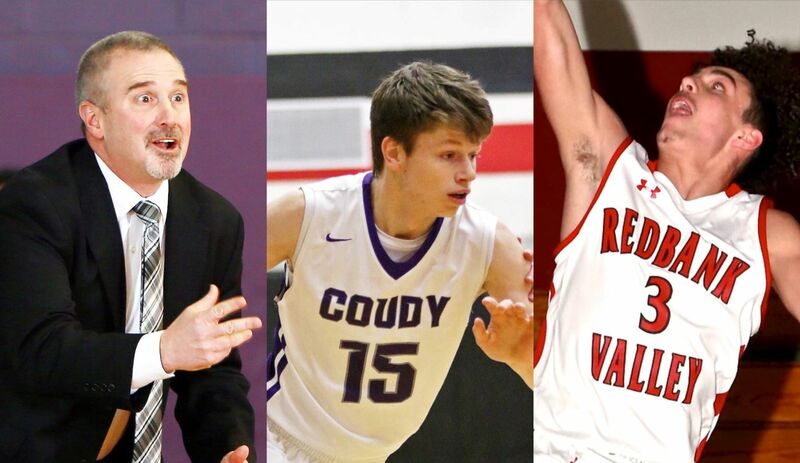 SHIPPENVILLE, Pa. – Coudersport’s Owen Chambers, Redbank Valley’s Chris Marshall and Ridgway’s Tony Allegretto are the major All American Awards & Engraving D9Sports.com District 9 boys’ basketball award winners for the 2019 season. 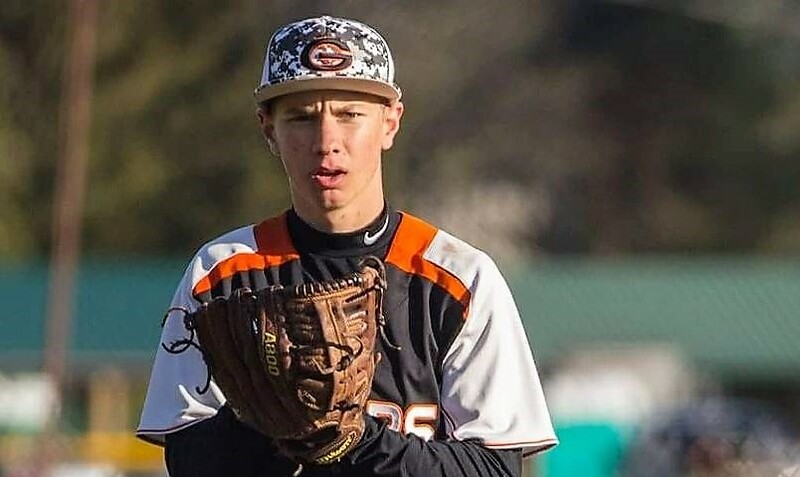 Chambers, a senior, is the All American Awards & Engraving D9Sports.com District 9 Player of the Year for the second consecutive season joining Elk County Catholic’s A.J. Straub (2001, 2002) and Jesse Bosnik (2006, 2007) and Keystone’s Garrett Heath (2003, 2004) as the only two-time winners of the award in its 20-year history. 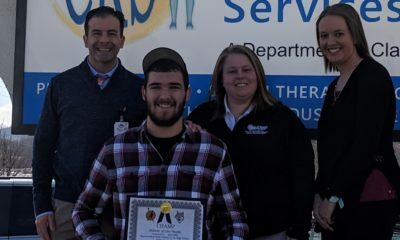 Marshall, a freshman, is the All American Awards & Engraving D9Sports.com District 9 Rookie of the Year, and Allegretto is the Chuck Daly Coach of the Year Presented by the Chuck Daly Foundation. Joining Chambers on the first team were Clarion-Limestone’s Ian Callen, Clearfield’s Cade Walker, DuBois’ Chase Husted, DuBois Central Catholic’s Justin Miknis and North Clarion’s Kyle Mills. On the second team were Bradford’s Tyler Gigliotti, Cameron County’s Jake Walters, Clarion-Limestone’s Hayden Callen, Elk County Catholic’s Alex Breindel, Johnsonburg’s Austin Green and Ridgway’s Daunte Allegretto. The third team consisted of Brookville’s Aaron Park, Clarion-Limestone’s Deion Deas, Clearfield’s Karson Rumsky, Coudersport’s Hayden Keck, ECC’s Regis Wortman and Ridgway’s Jake Reynolds. NOTES – In order to be eligible for the award or the all-district team, a player must participate in at least 60 percent of his team’s total games. In order to be eligible for Rookie of the Year, a Player must be either a freshman or a sophomore who saw limited or no time as a freshman. 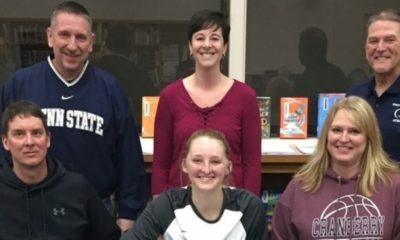 Chambers led Coudersport to the NTL title, a second-place finish in District 9 Class 2A and the second round of the PIAA Class 2A playoffs by averaging 30.7 points, 4.2 rebounds, 3.1 assists and 2.6 steals per game. 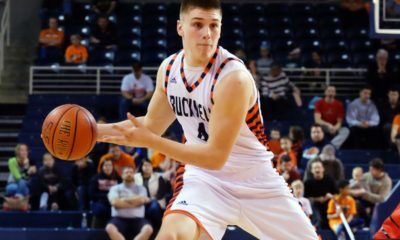 In the process, he became the first District 9 boys’ player to average at least 30 points per game since Cameron County’s Brandon Housler scored 31.1 ppg in 1999. Chambers, who shot 53.2 percent (290 of 545) from the field, 43.7 percent (115 of 263) from 3-point range and 84.9 percent (135 of 159) from the free-throw line, also became District 9’s all-time leading scorer with 2,269 career points. On the season, he scored 30 or more points 16 times, 35 or more seven times and twice reached 40 in a game while leading the Falcons to a 24-3 overall record. Marshall burst onto the District 9 scene in 2019 playing for his dad, Emmanuel Marshall, at Redbank Valley. He averaged 12.7 points, 2.8 rebounds, 2.1 steals, 1.9 assists and 0.6 blocks per game while making 23 3-pointers for a surprising Bulldogs squad that finished 13-10 and qualified for the District 9 Class 2A playoffs. He got stronger after the New Year, averaging 14.3 points per game after Jan. 1, just a tenth of a point off the team lead during that span. 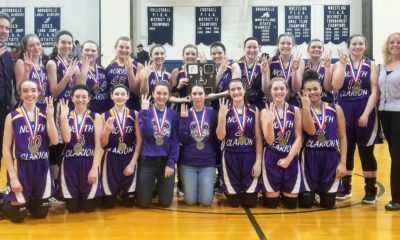 On the year, Marshall scored 20 or more points four times, including twice reaching 27, including in a District 9 quarterfinal loss to Karns City. Allegretto is Coach of the Year for the second time also earning the award in 2012. He helped the Elkers to the AML Title, the District 9 Class 2A title and the PIAA Class 2A quarterfinals by preaching a team-first, patient attack with a strong defensive philosophy. Ridgway finished the season 26-4 despite not having a player average more than 11.3 points per game. It was the Elkers defense, that kept opponents under 40 points per contest through the regular season, that was the catalyst to victory.